Common Sense Digital Edition | Holes in the Cloth: What Got Left Out of the British Edition of Common Sense? · Holes in the Cloth: What Got Left Out of the British Edition of Common Sense? 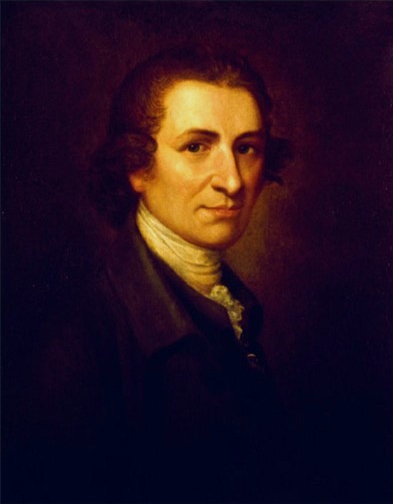 Thomas Paine’s Common Sense was a direct child of the culture of printing and reading in the eighteenth century. Literacy rates across the English-speaking world were expanding rapidly. More and more people could read, and printers kept up with the growing demand by printing more and more books. This explosion of printed material created a new literary culture. People talked about what they read in public spaces such as coffeehouses, and in parlors and other private spaces. 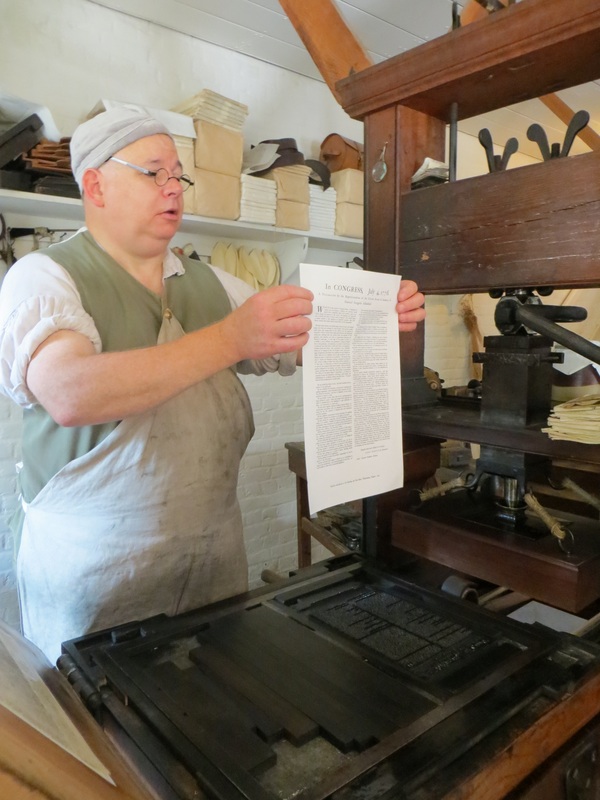 Writers and printers in the eighteenth century produced new kinds of writing, like the autobiography, and continued to print old favorites, including sermons and political pamphlets. Historians often tie the expansion of literacy and the press in England and her colonies in the eighteenth century to the end of tight licensing regulations by the British government. The Tudor monarchs in the sixteenth century had understood that the printing press was a potentially dangerous tool. They and their Stuart successors made sure that either the church or the Crown licensed printed material, and these licensing laws stayed in place until Parliament allowed the Licensing Act to lapse in 1695. Afterward, the British Crown no longer required that all publications be licensed, but still wanted to restrain the occasionally-threatening press. Enter the law of seditious libel. In the eighteenth century, the term “seditious libel” referred to an intentionally defamatory or malicious statement aimed at a particular person. To be labeled as seditious libel, these statements either had to be published, or the person accused had to have the intent to publish them. The victims of libel were often those in power, “persons in a public capacity,” who were supposed to be treated with respect, rather than subject to vicious attacks in print. Authority figures worried that if printers were allowed to print slanders against those in power, it would create “a dislike of their governors” in the people. Thus, criticizing government policy was permissible, but direct attacks on individuals, especially the King, were not. Thomas Paine’s pamphlet Common Sense is, in many places, a direct attack on the King of England. It had been printed across the colonies without redactions or censorship, though it did take Paine several weeks to find an initial printer in Philadelphia who was brave enough to print such inflammatory content (Paine initially kept the pamphlet anonymous for similar reasons). However, as the pamphlet traveled across the pond, censorship and redactions began to make their appearance. J. Almon, who printed the first British edition of Common Sense, made changes, most of which were deletions, in nearly twenty places. They are concentrated mostly in the section “Thoughts on the Present State of American Affairs,” where Paine explains the cruelties the king has imposed on America, and predicts the colonies’ success without him. Paine does not hesitate to describe the King in highly unflattering, malicious terms, writing, “I rejected the hardened, sullen tempered Pharaoh of England forever; and disdain the wretch, that with the pretended title of FATHER OF HIS PEOPLE can unfeelingly hear of their slaughter, and composedly sleep with their blood upon his soul.” Understandably, Almon, the printer, removed this sentence and others like it. These sentiments offended British sensibilities and could have gotten the printer arrested for libel, or possibly for treason. In all, J. Almon made nearly twenty changes to the text, removing savage attacks on the King and his ministers, and making additions to soften some of Paine’s rhetoric. Almon’s edits protected him from libel and limited the spread of scurrilous ideas against the King. Each of the four editions Almon printed in 1776 have redactions in place of libelous statements against the King. The first edition also removes the name of Lord North, who was George III’s Prime Minister during the war, whom Paine attacks as well. During the imperial crisis that led up to the American Revolution, the worst fears of the Tudors and the Stuarts had come true. Galvanized by the press, and using it as a tool, the colonists had spread a “dislike of their governors” and were in open revolt. Paine’s pamphlet, a runaway success, was the perfect example of the dangers of the press. Freedom of the press, eventually to be enshrined in the Constitution of the infant United States, was still very much a privilege, not a right, during the imperial crisis in eighteenth century England. Almon’s redactions appeared in other editions published in England, including those from Newcastle-upon-Tyne, Edinburgh, and Stirling, Scotland. It wasn’t until 1791 that the whole pamphlet, without redactions, was printed in London. However, Almon’s deletions only removed libelous statements. Paine’s sentiments condemning hereditary kingship and promoting self-government and American independence remained entirely intact. Amory, Hugh, and David Hall, eds. A History of the Book In America, Vol. 1: The Colonial Book in the Atlantic World (Cambridge: Cambridge University Press, 2000). Bailyn, Bernard. The Ideological Origins of the American Revolution, Enlarged Edition (Cambridge, MA: Belknap Press, 1992). Hamburger, Philip, “The Development of the Law of Seditious Libel and the Control of the Press,” Stanford Law Review 37:3 (February 1985), 661-765. Nelson, Craig. Thomas Paine: Enlightenment, Revolution, and the Birth of Modern Nations (New York: Viking, 2006).